Were on the hunt for an experienced Product Manager to join our highly anticipated & fastest-growing product: DSCVR. 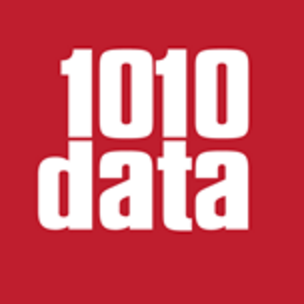 DSCVR is 1010datas new self-service SaaS business analytics product. By supporting it, you will have autonomy for responsibility for building out DSCVRs data products marketplace where users can find, trial, & purchase data-sets from within the DSCVR application. You will work with our data sourcing teams & data science teams to identify products for resale in the marketplace & with our software engineering teams to build the UI & delivery system for data within DSCVR. More importantly, the type of persona were seeking is someone with deep experience working on & developing products as a service. Own the end-to-end product life-cycle from requirement collection to release planning. Work independently, in an agile environment, to deliver against time-sensitive requirements. Be able to define goals & KPIs for your products against company goals & KPIs. Position may require approximately 20% time for travel (domestic & international). 4 years experience as a product manager in a software or data product management role. Has performed vendor evaluations on 3rd party data-sets. Has managed a data marketplace with a SaaS front end. Has taken a product or major feature from idea through release. A bias toward action & the ability to break down complex problems into steps that drive product development.